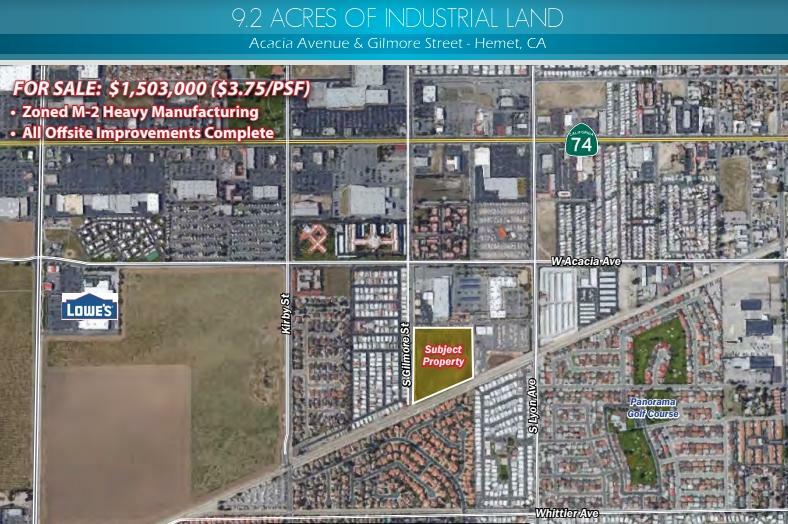 The property is located in the City of Hemet in the County of Riverside less than 1/2 mile east of Interstate 74. The site is positioned on Acacia Avenue and Gilmore Street Road. Surrounded by upcoming residential and retail development, this site is an ideal location for all industrial uses. All offsite improvements are complete. Water and sewer available to the property. Listing provided courtesy of Lee & Associates. Listing information © 2019 San Diego MLS, Inc.